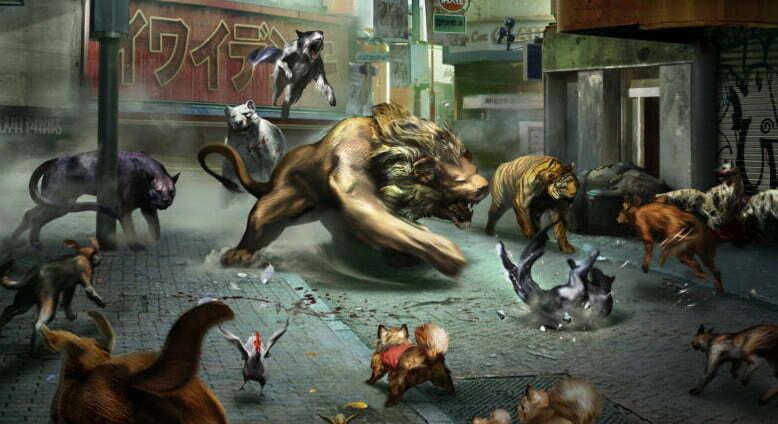 We’re big fans of the PlayStation Network’s Tokyo Jungle. How can you not be? This is a game that for that less than the price of a hamburger allows you to experience the struggles of a plucky Pomeranian (and dozens of other animals) amongst the ruins of a mysteriously post-apocalyptic Japanese metropolis. If you’ve never fled for your tiny doggy life from a pack of anachronistic yet inarguably ravenous velociraptors, then you truly haven’t lived. That’s why it came as such great news when Sony announced that the game would feature Remote Play functionality via its Vita handheld. Visions of lying in bed, two rooms away from the nearest PlayStation 3, while still being able to enjoy Tokyo Jungle’s endearing weirdness danced in our heads as we reported the news, but since that story was published in September we’ve heard nothing of this mysterious patch that was supposed to make our dreams a reality. At least, that was the case until this morning. As of this very minute, if you fire up your PlayStation 3 copy of Tokyo Jungle, the game will download a relatively small update that finally implements Remote Play. It’s a free update, and the only real caveat we can see from our cursory tests so far is that enjoying the game via the Internet is generally too full of lag to provide a proper gaming experience. These findings are backed by a Twitter message from Sony’s president of worldwide studios Shuhei Yoshida. “Remote Play over Internet is not recommended due to latency and video bandwidth. Please try Tokyo Jungle Remote Play at home,” Yoshida writes. That said, if your PlayStation 3 and Vita are on the same Wi-Fi network Tokyo Jungle runs flawlessly. We’ve yet to see any slowdown or frame rate issues in this mode, and while some have reported odd networking hiccups, our experience so far has been pristine. Assuming you have the proper hardware we can’t recommend Tokyo Jungle enough, especially now that you can enjoy its charms anywhere in your home. Now, if you’ll excuse us, we’ve got a mean old Golden Retriever to assassinate and our adorably colorful puppy boots are almost out of armor. Such is life in the ruins of Tokyo.